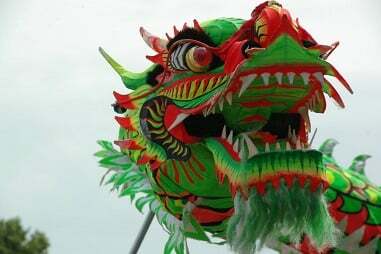 Chasing the dragon... Can you still make money from China? China's Premier has set a 7% GDP growth target for 2015 – should you worry? During his annual “state of the nation” address this morning, China’s relatively new Premier, Li Keqiang, set a 7% target growth rate for 2015, the lowest target the country has set in 11 years. This year's target is only slightly down from the 7.5% target it set last year, but it eventually missed that target by 0.1%, witnessing its slowest growth in 24 years. The year before, in 2013, the world's second largest economy grew by 7.7%, although even this was much lower than pre-financial crisis levels, which had seen it expand by 14% in 2007, according to the World Bank. Since 2007’s peak, China’s economy has slowly continued to rebalance, and if growth is 7% this year, it will be the lowest it has been in a quarter of a century. However, does this mean it is heading towards a collapse? In short, no. There are a number of reasons why this isn’t the case and why there is still a case for investing in China. Arguably one of the most supportive and simplest explanations for the slowing growth is that the current Premier is undertaking huge cultural and economic reforms which are likely to position the country for further growth in time. These reforms are very widespread, covering everything from its economy and education to government and healthcare. A particular initiative proving very popular with the Chinese people is the government’s crackdown on corruption, which has been endemic almost since the “Cultural Revolution” in the 1960s and 70s, (and indeed was prevalent in China’s history from long before the Chinese Communist Party (CCP) took over). Recently there have been hundreds of CCP members arrested and tried for corruption. However, the financial sector is also earmarked as a priority for reform, with the aim of reducing growth to more sustainable levels. There have been a number of developments so far, with the launch of the Shanghai Hong Kong Stock Connect programme last November being one major milestone. In his speech today Li said a similar link between the Shenzhen and Hong Kong stock markets would also be launched at an "appropriate time". Another part of these reforms, which Aberdeen Asset Management’s Asia Pacific team estimated late last year to be around 40% complete, has been to make the country’s stock markets more available to international investors. This drive saw the Chinese financial regulator, the Securities Regulatory Commission, create the RMB Qualified Foreign Institutional Investors (RQFII) licence at the end of last year. The licence provides approved institutions with what has been described as “unprecedented” access to the Chinese onshore equity and fixed income markets. Emerging markets specialist Ashmore was the first foreign asset manager to be granted an RQFII licence, but it has since been followed by HSBC, JP Morgan, Schroders and BlackRock, as well as a number of others, all eager to exploit the Chinese market more directly.